1877 pattern $50 gold. Images courtesy Heritage. 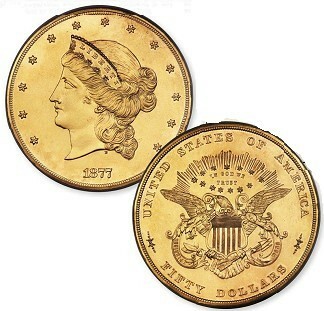 The history of seizures of coins and gold is a checkered one and dates back to the 19th century. The first tentative steps in this direction came in the late 1850s when certain Philadelphia Mint employees, with unauthorized access to the dies for the 1804 dollar, struck off several specimens for sale to wealthy collectors. 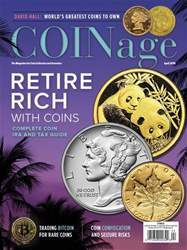 Many readers of COINage are aware of the recent public disputes over the ownership of the 1933 $20 gold pieces. The matter wound up in court, and the government eventually prevailed, seizing the coins from the Langbord family. Many people considered the seizure as unjust and believed that the coins rightfully belonged to the Langbords.